At Bulldog Janitorial Supply Company we have the janitorial and maintenance products you want and the experience you deserve. Our staff our professionals know the janitorial business inside out. Why? We’ve been serving the Greater Philadelphia and South Jersey market since 1994. 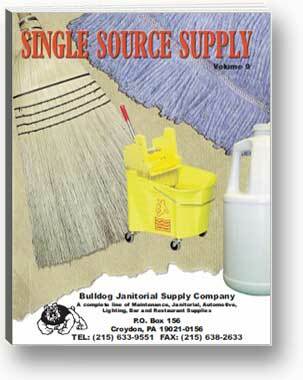 Bulldog offers a complete line of janitorial products and maintenance products for both business and home. We can provide you with everything from: Safety Equipment and First Aid Supplies to Mops and Brooms to Toilet Paper and Paper Towels to Waste and Trash Receptacles and much more. Browse our entire online catalog and then Request a FREE price quote. Your products will be delivered promptly and with a service guarantee to ensure your satisfaction.